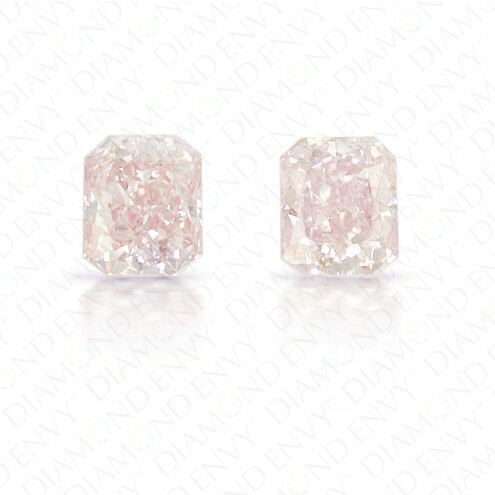 This 0.72 tcw pair of natural Fancy Light Pink diamonds has a cool rosy color. The radiant cut adds romanticism to the pair, wonderfully complementing the feel of the diamond’s color. This pair of pink diamonds would look stunning on their own as a pair of studs or as part of a larger piece. Either way, they are well matched and beautiful. To learn more about the color, value and history of fancy pink diamonds, read our expert guide.